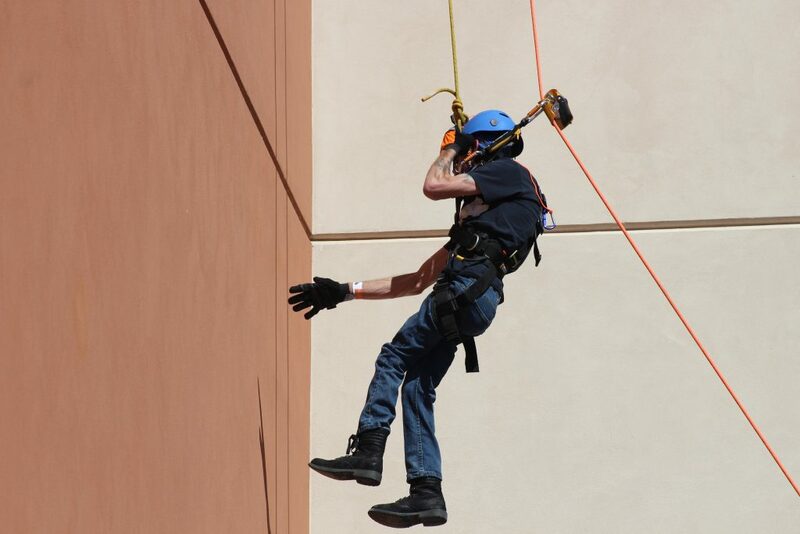 ST. GEORGE — Peter Gunn’s first time rappelling wasn’t on the side of a mountain or off a cliff — it was down the side of a five-story hotel in St. George. 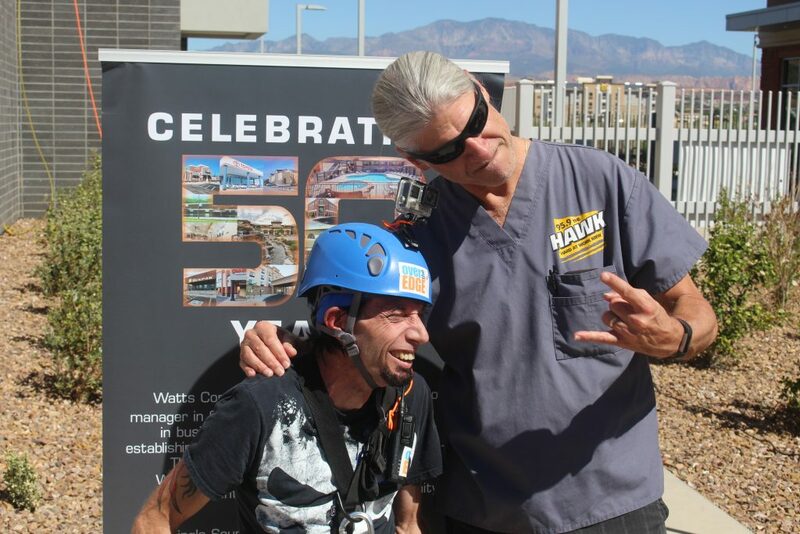 Gunn, a radio personality on 95.9 The Hawk, joined 30 others who rappelled down the side of the Hyatt Place hotel in St. George Friday as part of a fundraiser for Habitat for Humanity of Southwest Utah. 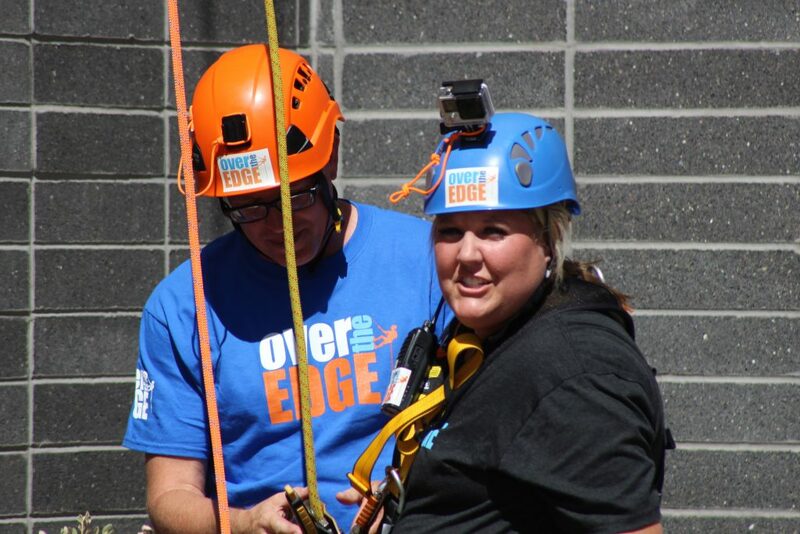 Every participant was required to raise $1,000 to participate in the event organized by Over the Edge, a nonprofit group that organizes similar fundraising events around the country. 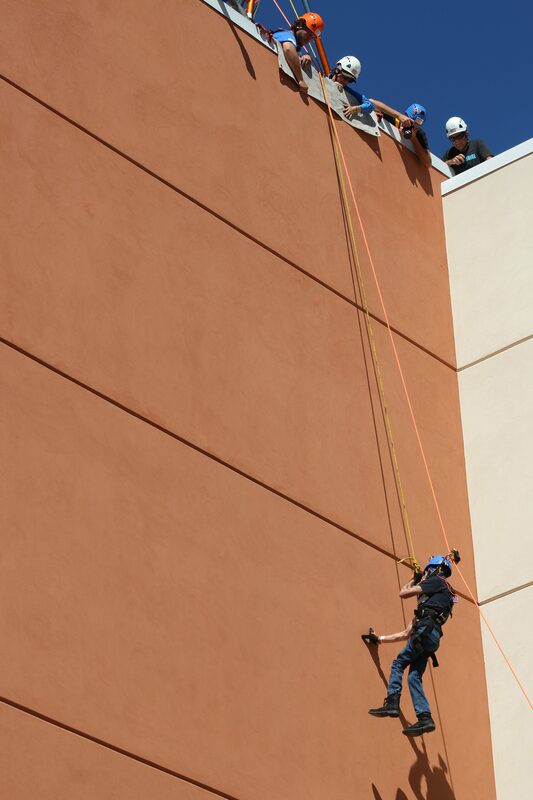 Participants were hooked into ropes and descended the 50 feet straight down the side of the building. Some were fearless, and others needed some convincing before they took the first step over the edge. 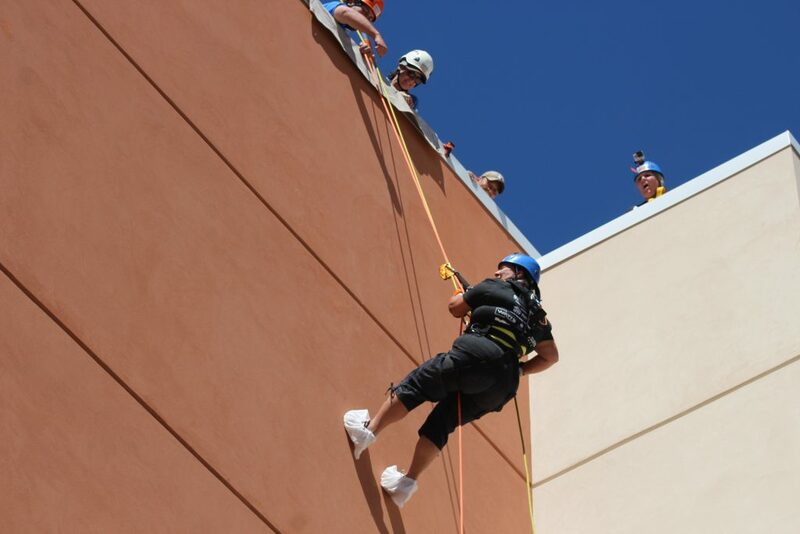 Susi Lafaele, the director of operations for the St. George Area Chamber of Commerce, was another participant who tested her courage by rappelling down the hotel. 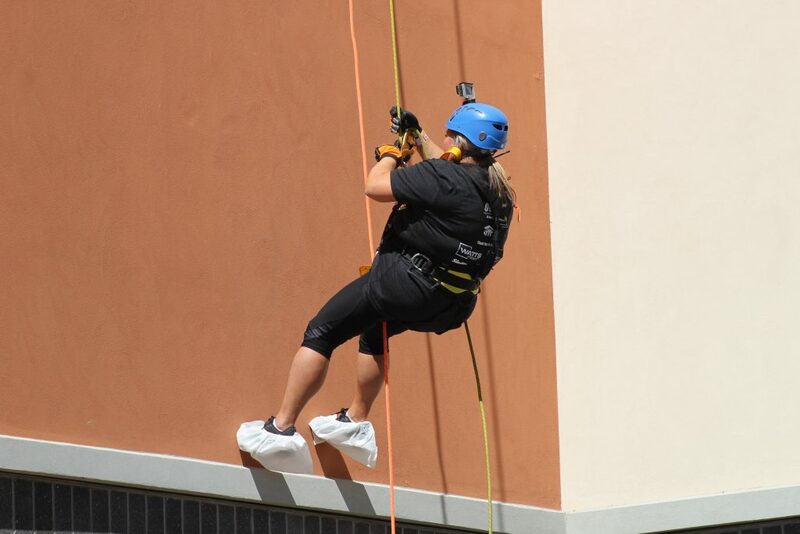 After a brief mishap near the start of her rappel after getting nervous, Lafaele completed the rest of the decent with a rope burn, or “war wound,” on her arm. 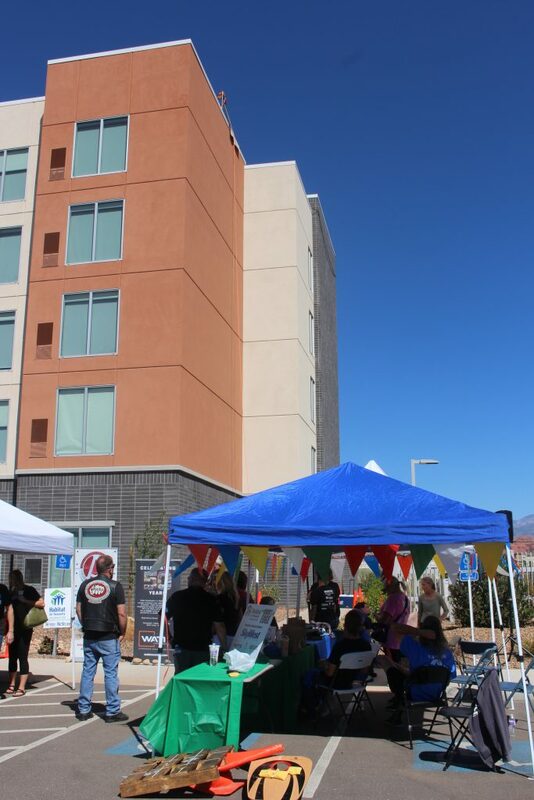 The money raised through Friday’s event in St. George will go toward the 23rd home being built by Habitat for Humanity of Southwest Utah, which will house a single mother and her four kids, said Lil Barron, director of development and community relations. The construction project for the home will cost about $55,000 in the end. 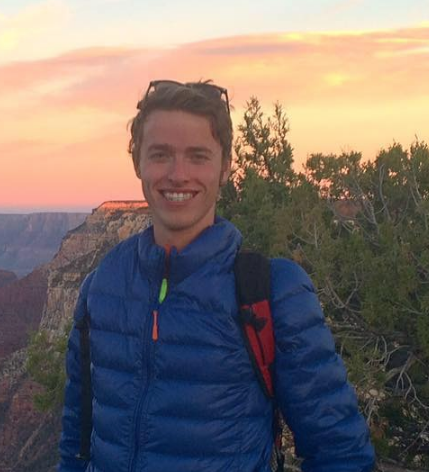 “(Over the Edge) will make a huge, huge dent,” Barron said. 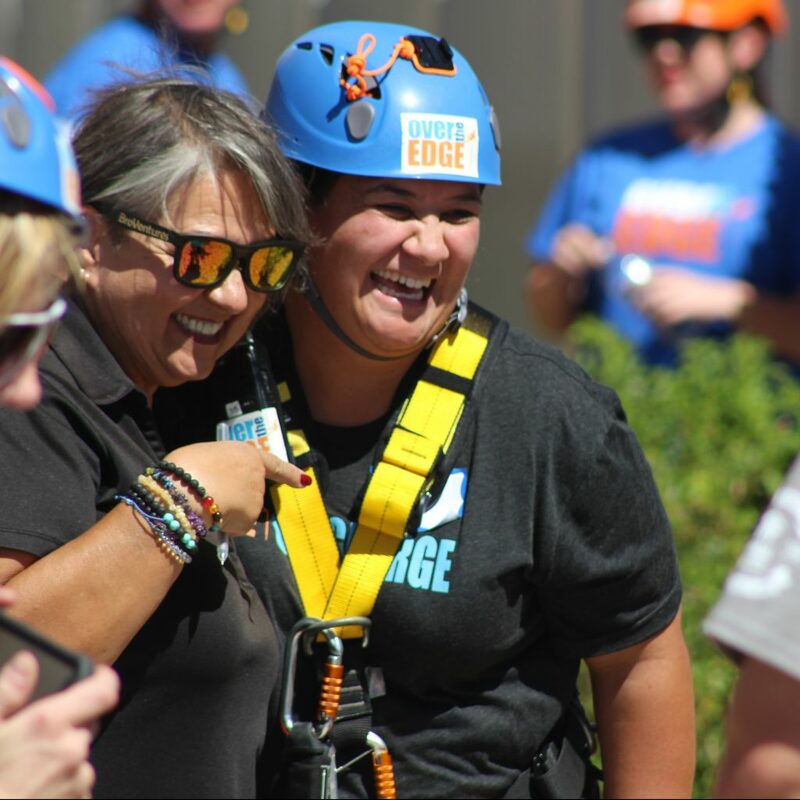 Many of the participants in the Over the Edge event raised funds through their businesses, like SkyWest Airlines or Canyon Media. Gunn wasn’t the only radio disc jockey to participate. 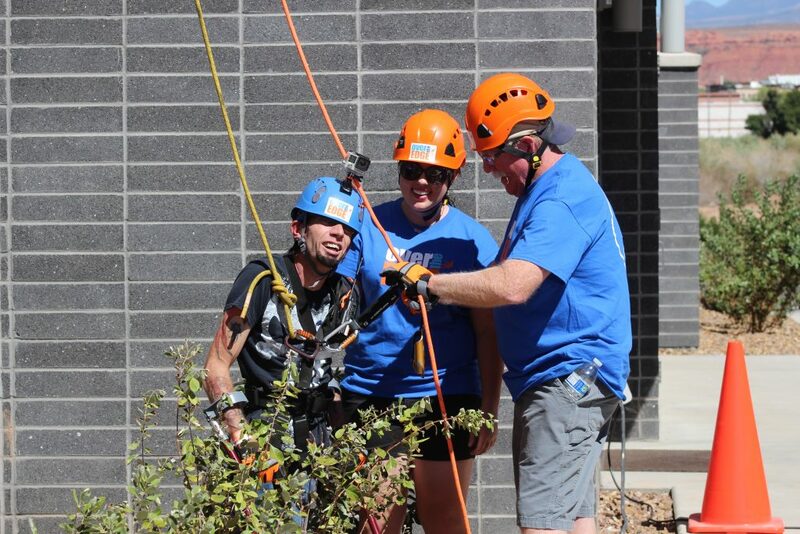 Amy Chesley from 99.9 KONY Country and Matt Wilber from Planet 105.1 also went over the edge. Habitat for Humanity prides itself in providing a “hand up” to low-income families in need by helping them build an affordable home. 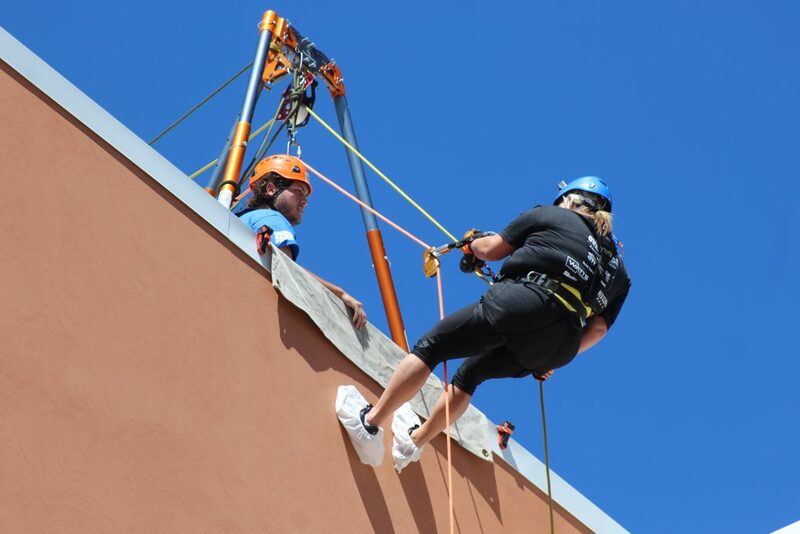 Those interested in still donating to Habitat for Humanity for Southwest Utah without rappelling off a building can do so by through its website.